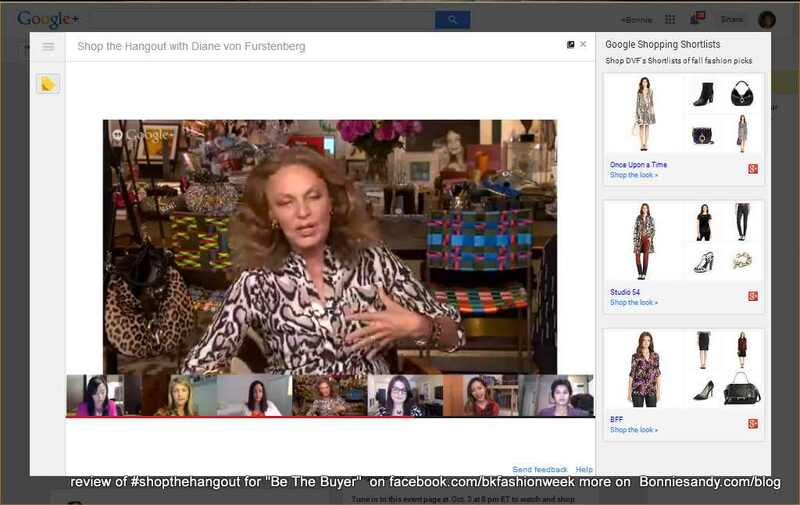 When DVF joined forces with Google under the CFDA they tested #shopthehangout with a mere 691 in official attendance. Now it takes as much effort to sell to one person across a counter as it does to 691 and the video can add value to time spent. The challenge is you have to sell! You need product a customer wants. Now thing if that were 691 Buyers or even 300 from across the globe. So what did I think, I tuned in late, X-Factor was on, what can I say. Here is a copy of the tape. With this medium Everthing is a ‘competitor” for the consumers attention. 691 attended- this is GOOGLE and CFDA and DVF… What do the numbers say. The video is simply a tool, you still need to do the marketing. Many still cannot wrap their minds around the potential of this. As fro technique, selling is an art form, selling by video should not be taken for granted. I’ve spent a lot of recent months looking at QVC, HSN and Maul videos and infomercials. The models were wrong… When selling to consumers it goes over better if the shopper can relate to the models. Loved the lighting and the indie designer would die for the video equipment. NOTHING should compete with what’s for sale… I kept looking at Eva Chen’s top. The best item on set. As for the set , it was competing for attention. I was frankly disappointed. Look you’re talking to a local mom who has clickable images using Flickr and clickable videos. I was expecting more from the Google developers. And MS DVF a call to action during the pitch QVC+HSN 101! For many reasons Hangouts may not be the Telepresence choice for the masses yet Google could corner the market. What is certain is that selling by video will be one day be the norm. At InternetweekNY in May we hosted a series of water cooler talks to get my indie design colleagues from across the globe to test this technology. As an introduction I sent them some prep and suggestions. ( Now updated and will be made available to site members) still actually “doing” is a game changer. Experience is the ONLy teacher with new technology. What is important though is that technology democratizes access!